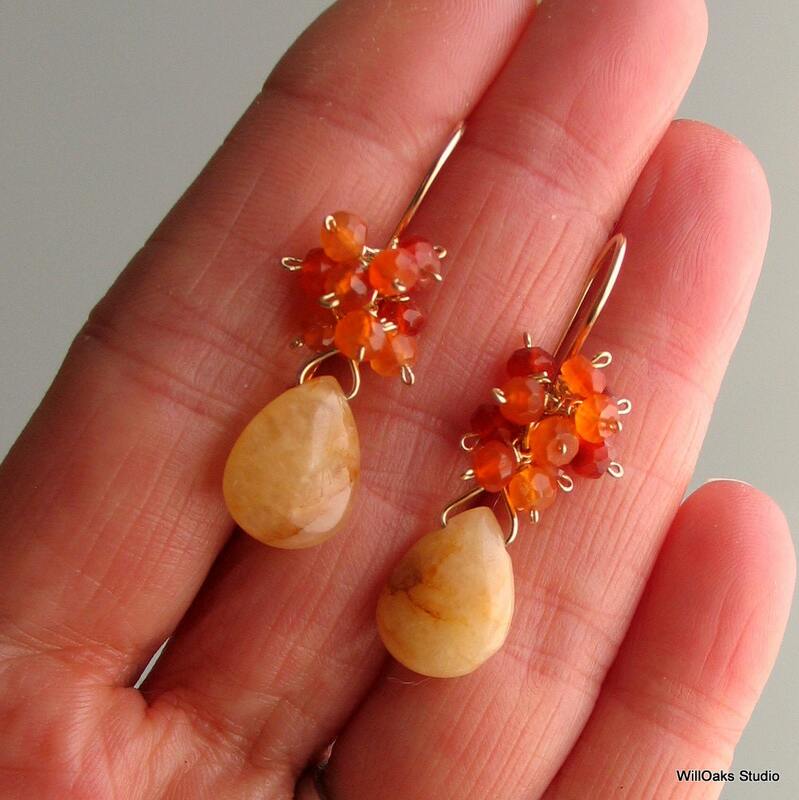 Golden quartz drop earrings topped with a cluster of carnelian rondelles are as warm and sunny as a beautiful sunet. Polished teardrops of golden quartz stone are topped with multiple wire wrapped roundels that range from deep orange to paler shades of orange. 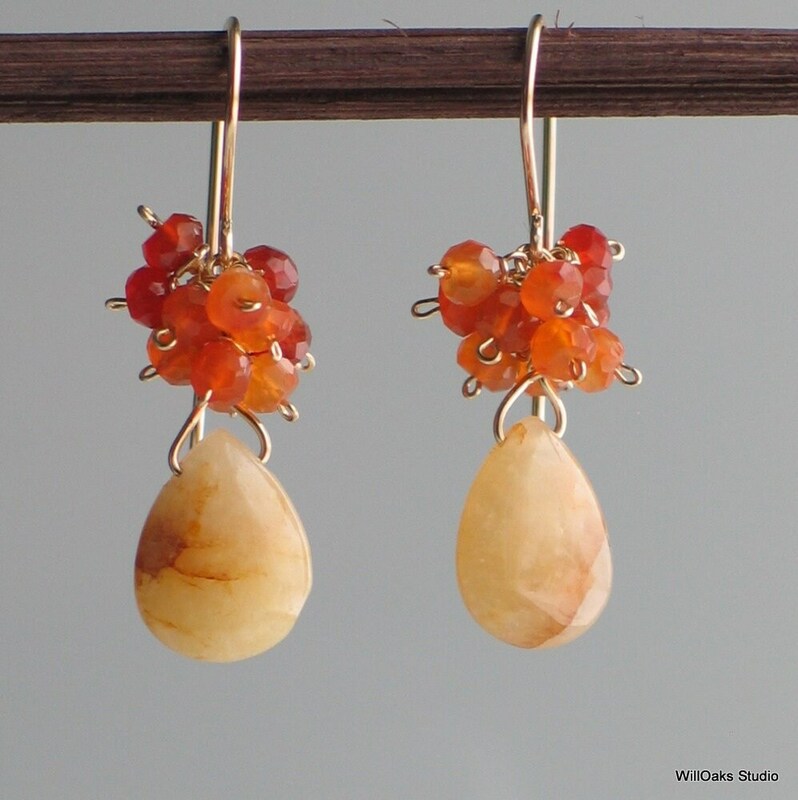 The composition of gradations of orange stones over the golden teardrop reminds me of a sunset. 14-20 gold filled wire is used through out this creation. This pair dangles freely from hand formed gold filled ear wires that I have tumbled for strength.. 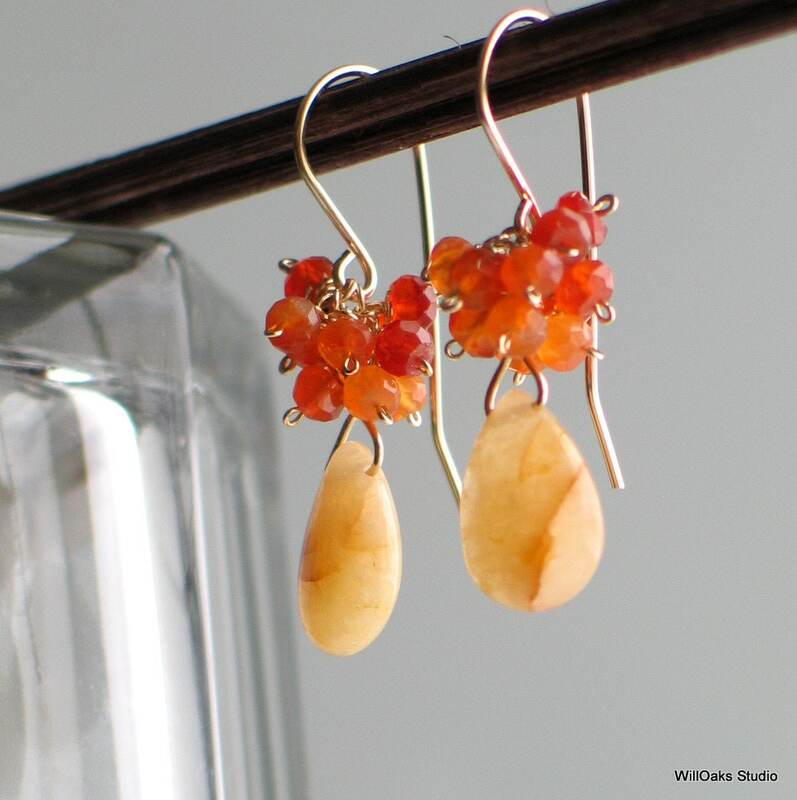 The earrings measure just over 1 1/2" total length from the top of the ear wire. 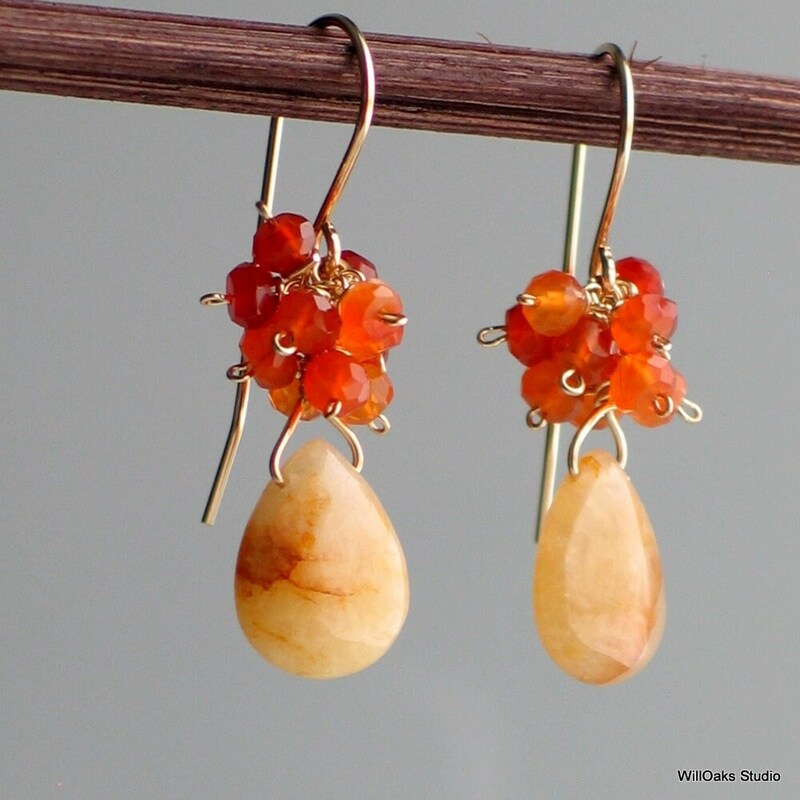 What an incredible gift for a special woman--heirloom earrings that are of natural, beautiful materials. Earrings are packaged in my signature boxes, ready to mail & to gift. Please stop by the front of my studio here http://www.etsy.com/shop/WillOaksStudio! Drop a convo if you have any questions or comments!